This will be topic to talk about any lenses with Canon FD mount. Why Canon FD? You can find many great lenses for this mount. And thanks to the fact that this mount is completely abandoned, they can be obtained for cheaper price, normally. I'll start from the most frequently mentioned lens - Canon FD 40mm F1.4. It had many versions. I really do not know all the differencies, but they are not very important as far as I am aware. While it is not very sharp wide open, but it is well build. Focus is smooth and handy. It's great if one has a set of FD lenses. But it's getting harder to find good conditioned FD lenses from ebay. I've got 50mm 1.4 S.S.C. in good shape with ciecio's7 adapter. Cannot complain. It is cheap and produce picture I like :) In addition it is manual. You can find these lenses (50mm/f1.4) in good shape. No big problem in Poland. Try to see if you can find good FD 24/2.0 in good condition at a reasonable price. Also 15/2.8, 28/2.0, 35/2.0. I feel... I missed a boat. Also there is 15/2.8 but I don't like fisheye image. I kinda like fisheye distortion in photo. ACR can fix the distortion if I want to. In video I have no idea how to correct it. That's where Lumix 7-14 shines. It's rectilinear. Although it's slow at 4.0, it's the sharpest wide angle lens on m43 bodies. As soon as one mixes FD w/ lumix m43 lenses, he faces challenge to match them. Thus all FDs or none... I think. My 50mm 1.4 is razor sharp, even wide open. FD's sound like an inexpensive proposition unless you need a matching set. I like the FD image for narrative work. The 14mm 2.8L will put you back 1K+ or you can get a 17mm f4 for $3-400. The wide side of the FD range can give you some headaches but when you use legacy glass this is always the case. It is harder to match modern lens to FD so this can be a turn off a lot of users. If you have 4-5k you could get this set. Sounds expensive but it will probably double in value in another 10 years. This is the set that I am slowly building. 35mm F2 concave f16 version. Prices on FD jumped significantly in last years. Due to m43, and, especially due to NEX release. Personally, I do not see a point to collect all top glass or L glass only. 85mm F1.2L is not astonishing lens. I am not sure about 135mm F2 also. Telephoto and wide lenses gained image quality (why being cheaper) due to heavy ED and aspherical elements usage in modern lenses. The contrast and color reproduction is deferent on L glass also the build quality is very nice. If you like the look then you are kind of stuck with the bill. I think its cheap compared to what EF lenes go for, and the FDs are going hold there value a lot more. In 50 years most EF lens will not work anymore but the FDs will still be taking wonderful pictures. 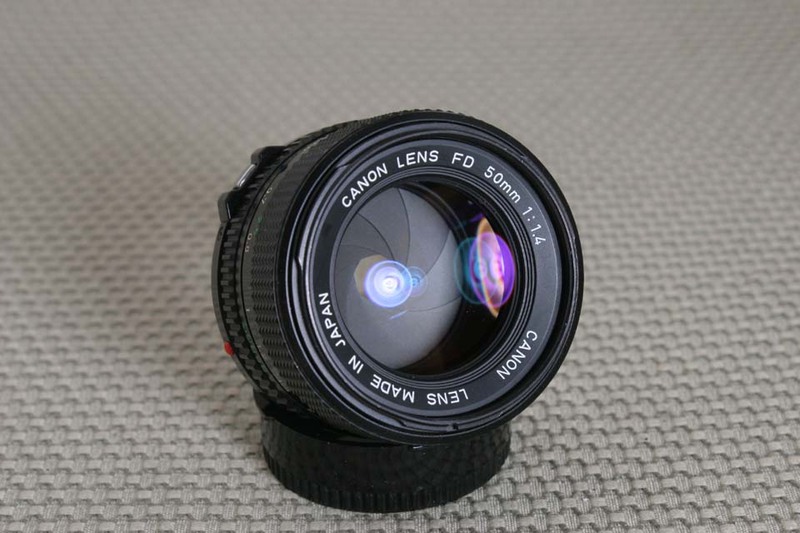 Some good info concerning Canon FD lenses. Always remember to add Vivitar 55mm F2.8 macro. It is very good, but doe to fact that it is not so widely advertised in web, it is also much cheaper. I don't understand the all or none comment. I mix Nikkor, OM, MD, FL, FD, nFD, CZ, Yashica, M42, and etc. with no trouble. Is there something useful about matching up? The nFD 24/2.0 actually has better IQ than the 24/1.4L so if you don't need the extra stop that'll save you some money. Canon makes supremely awesome long lenses but I don't have enough love for the majority of the under 200mm group to become exclusively FD. Some newer EOS mount lenses are improved - especially the L versions but without special and very expensive adapters we can't control the aperture on EF (EOS) lenses. There are a few nice exceptional FL/FD/nFD lenses to be had for sure but finding out which ones to get or leaning how to avoid the trouble spots of each, can be kinda time consuming. I'm not saying to not buy/use them or anything. They're fun lenses and I think a great for experience and learning - if you're into alt glass don't skip the old Canons! If anyone want to see some example photos taken with these just ask. I am very interestined in examples and your opinion about each lens. How about one separate reply per one lens? 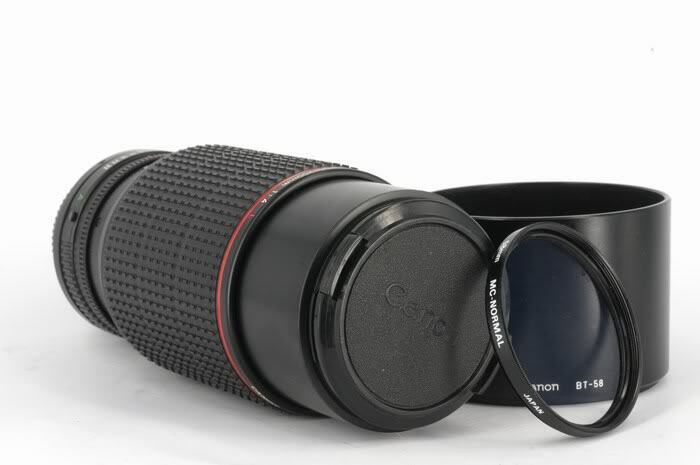 I want to ask you also to upload all images of lenses and examples via attachments (as they can be gone from your own or auction sites with time). Want to add other useful info. If you want tele zoom with very good image quality and extremely well build, look at Canon FD 80-200mm L F4 . It is push-pull zoom, I think that it is on of the best, if not the best of them. Not cheap (from manual F4 zooms only Contax Zeiss T* 80-200mm goes for similar prices). But if you are ok with F4, you are covered. My limited expirience with this lens proves that it is all true that you'll read in small user reviews. Anybody knows about AT-X TOKINA 24-40/2.8 FD mount ? Perhaps I will buy this for around 120 $. I only read many threads about it, so info not from me directly, but as I understand this lens is not remarkable. Build quality is good, as always in AT-X range, but sharpness is below average. Better look at modern lenses like Tamron 17-50mm or Tamron 28-75mm (for Nikon or Pentax). To compete with modern bad or average zooms you normally need best old zooms. For primes it is not so clear. Thanks a lot Vitaliy. It is possible that I will take it for tests and I will show you the comparison between my lumix 14-140 and this "tank toy " :-). Everyone is in need for speed thus f1.2 and f1.4 lenses are never cheap. Sometimes crazy over priced. The Canon FD macro 50 mm f3.5 is slow for a 50. Its a special purpose lens (macro). I got it very cheap and I always was putting the FD 50mm f1.2 or the Olympus 58mm f1.2 in my bag unless I took some time to play with the f3.5 macro. This lens produces so clean and sharp images that I now never use a f1.2 unless I really need the speed. However I can't tell if the macro beats a stopped down f1.2 lens. Anyway I don't care about sharpness that much. The correction of chromatic abbreviation, coma and astigmatism is for me the key to good image quality and that seems to be where those high end lenses shine (not most of the expensive Canon L glass though!). The Canon FD 50mm f3.5 seams to be well corrected. As well as the Olympus OM 28mm f3.5. Also one of my favorites. You definitely need to try Vivitar 55mm F2.8 macro in this case. thanks for the tip, Vitaliy! Sure enough my family will embrace another lens or two at home :-) "look, dad has a new nose!" "no, its just another lens" ... well, so be it. "- Dear, where we are supposed to sleep? - Just place this to big white lenses to the side and throw pair or Mark bodies in window, dear, they are two years old anyway." I bought the Tokina 80-200 f2.8 because it's faster. But the quality is not as good as the Canon i suppose, although reasonable. >I bought the Tokina 80-200 f2.8 because it's faster. But the quality is not as good as the Canon i suppose, although reasonable. I tried this Tokina some time ago on Pentax (and still have her cousin 100-300mm F4). Considering current price hike on old F2.8 zooms, selling it and buying Canon L zoom is good idea. From similar F2.8 zooms it is best to go for new Tamron. It is much much sharper. The 55mm is a wonderful lens (WAY HEAVY THOUGH!) and still looks pretty good wide open in low light, and has amazing depth of field and bokeh. The 24mm F/2.8 is sharp, but the image looks kinda "boring" to me. I'm glad I have it though, as the 55 is a very long lens on the GH2 and not great in many situations where a wide angle would be better.